Using technology to find new ways for relaxation is not something new, but now, with the use of powerful mobile devices like tablets and smartphones, this initiative can be elevated to a brand new level. 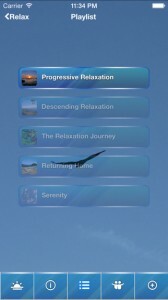 The Relaxation Experience is a mobile device app designed for the iPhone, the iPad and the iPod touch, which operate using iOS, 6.0 or a later version. This simple app allows users to achieve a state of calm and serenity that will have a great impact on their everyday lives by decreasing tension, stress, anxiety and sleeping problems. The same state will not only produce a lot more happiness in their lives, but also a greater level of health and fitness. The main concept of the app represents a system of relaxation that is encompassing, which means that it uses material that stimulates several human senses. 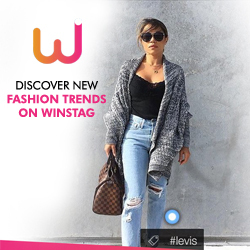 First of all, it employs a rich database full of visual material that is presented to the app’s users through an Autogenic experience. This means that the experience is self-generated and through the use of a training process that resides on guided imaging, including landscapes, nature and other fitting subjects, the app produces the main health benefit of allowing a deep state of relaxation. A soothing voice and many natural sounds, including very appropriate background music, where the users can sink into the process, follows the same-guided images. 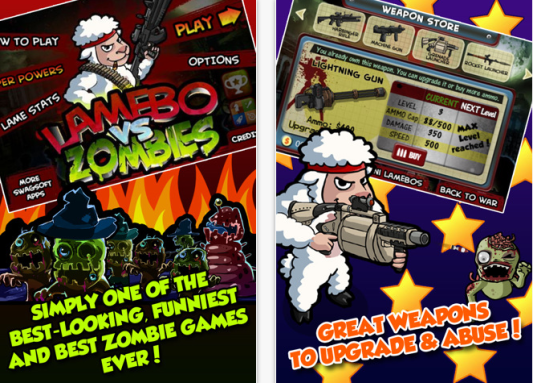 The app includes several important features. It offers features of exercises, with a single set included in the app called the “Progressive relaxation”, and other exercises are also available. This means that users can get exercises like “Returning home”, “Descending Relaxation”, “Serenity”, and “The Relaxation Journey”. All of these demonstrate the app’s flexibility in offering features that cover different aspects of the relaxation process. For example, a businessperson with a hectic lifestyle will definitely enjoy the Returning home exercise while a student who is tense before a big exam can profit from using the Serenity exercise. Unlike meditation or the process of simple muscle relaxation, the Relaxation Experience provides the feature of total mobility, which means that it can be used anywhere and at any time. But, the most important advantage that this app holds over all other applications that are used to relieve stress is the fact that it includes the complex system of sounds, voice, images, followed by an exactly predefined guidance in which all these come together in a synergy of calm relaxation. With it, users are getting not just an app for their mobile device, but a method that can teach them how to increase their levels of health and general fitness across the board. By using The Relaxation Experience app, anyone can receive an insurmountable aid in the process of reducing stress and tension of the modern world. As a method and a system of relaxation, the same app can be called flawless in its design and execution as a mobile device application.